Of the many cruelties that underpin the establishment of the American West, none is so pernicious as the denial of legal rights to American Indians. The rights of Indigenous peoples — to land, water and wildlife — are sometimes recognized by the courts, yet thoroughly undermined by a dominant American culture rife with ignorance and racism. Nevertheless, tribes have continued to assert their rights, and now hundreds of Indigenous lawyers are fighting legal battles for their nations. 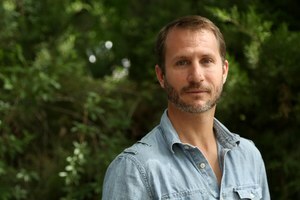 What is commonly called “Indian law” developed among peoples at the mercy of a merciless system — beginning in 1831, when the Cherokee Nation went to court against the state of Georgia for the right to determine its own affairs. The struggle carried on through the 19th and 20th centuries, as the U.S. government executed a policy of extermination, isolation and brutal warfare against tribes from coast to coast. These tribal nations persisted, however, and Indian law developed, case by case. Despite such bias, Indigenous lawyers emerged to define Indian law in the 1970s, becoming mentors and educators for the next generation. Today, a growing cadre of young Indigenous lawyers is rising to meet legal challenges, old and new. 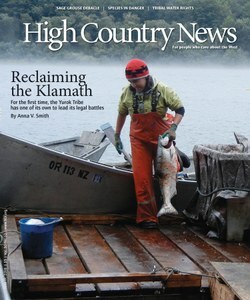 As Assistant Editor Anna V. Smith reports in this issue’s cover story, the Yurok Tribe, in Northern California, now has one of its own citizens leading its most important legal battles — those over the Klamath River and the salmon it carries. As drought intensifies and non-Native farmers become increasingly desperate for irrigation, the stakes on the river are high. We will see in coming months and years whether the courts can deliver fair judgment on these and other tribal issues. Either way, the Yurok general counsel, Amy Cordalis, continues to find solid legal footing for her tribe, working to change the system from within. Her story is one among many, as young Indigenous professionals contribute great things to their tribes and to the United States. All of them should be recognized as positive role models — not only for their communities, but for everyone.